Raleigh wrote this history while imprisoned in the Tower of London from 1603 to 1616 for his alleged role in the plot to remove King James I from the throne. It was published after his first expedition to the New World. Masked within the recounting of these ancient stories are subtle warnings about the political situations taking place in England during the seventeenth century. Consequently, the book was suppressed. 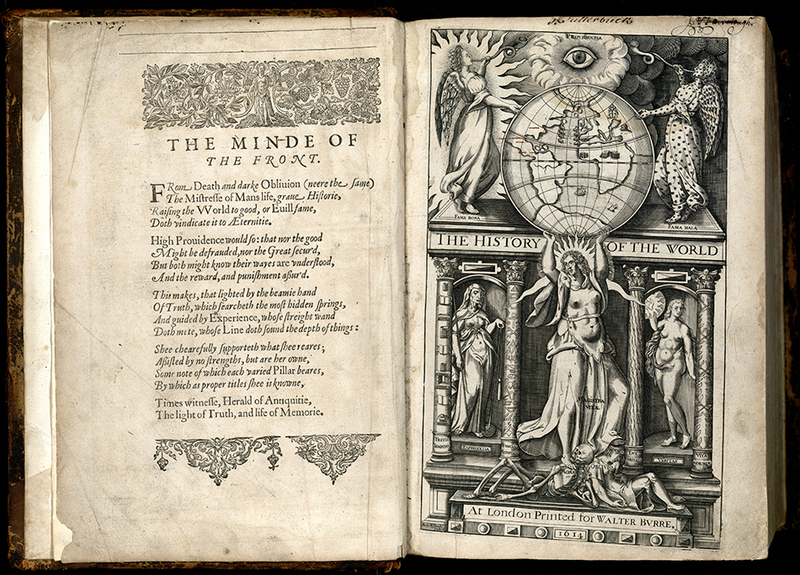 The illustrations on the title page can be interpreted using the key on the facing page. Raleigh, a poet, explorer, soldier, and courtier, was a contemporary of Shakespeare and lived an adventurous and swashbuckling life. 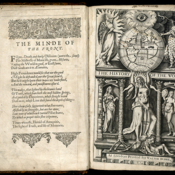 Raleigh, Sir Walter, “The History of the World,” UM Libraries Digital Exhibits, accessed April 23, 2019, http://scholar.library.miami.edu/digital/items/show/475.